FGE’s Short-Term Global Oil Service provides up-to-date analysis of the key events and data affecting the oil markets, together with consistent forecasts of future trends. FGE’s Short-Term Global Oil Service provides up-to-date analysis of the key events and data affecting the oil markets, together with consistent forecasts of future developments. As price movements become more volatile and vulnerable to unpredictable events, it becomes increasingly important to have a solid understanding of the fundamental market drivers. FGE's Short-Term Global Oil Market Service does just that. In addition to providing forecasts and focussed assessments of future trends, this service also provides clients with a continuous assessment of global oil market developments (what is happening, why is it happening, and what are the implications?) so you can fully understand the market, and are able to adjust your strategies to capture the upsides and limit the downsides. Leading Fundamental Analysis Up-to-date comprehensive analysis of key fundamental drivers in the global oil markets, together with detailed projections of crude/NGL production, refinery output, and products demand. Complete Oil Data AnalyticsDetailed economic analytics allow you to identify clear emerging trends, structural changes and seasonal patterns determining future supply/demand balances. Access to FGE's Oil Team Clients of our research, analysis, and data analytics can benefit from having consistent access to technical and/or commercial information about the oil markets. Accurate Price Forecasts FGE's vast knowledge and experience of analyzing the short-term oil markets has enabled us to deliver highly accurate price forecasting data to clients over the years. Complete Coverage of the Global Oil Markets The suite of reports covers Global Oil Market Drivers, Product Imbalances & Pressure Points, Crude Supply/Trade & Price Differentials, and Refinery Margins and Product Cracks. Rapid Assessment of Events Our utilization of knowledge and experience allows us to react quickly to market developments, therefore alerting clients promptly allowing them to stay ahead of the competition. Crude & Petroleum Products Traders developing both trading and hedging strategies built on detailed fundamental research. Exploration & Production Companies formulating future policy and hedging strategies. 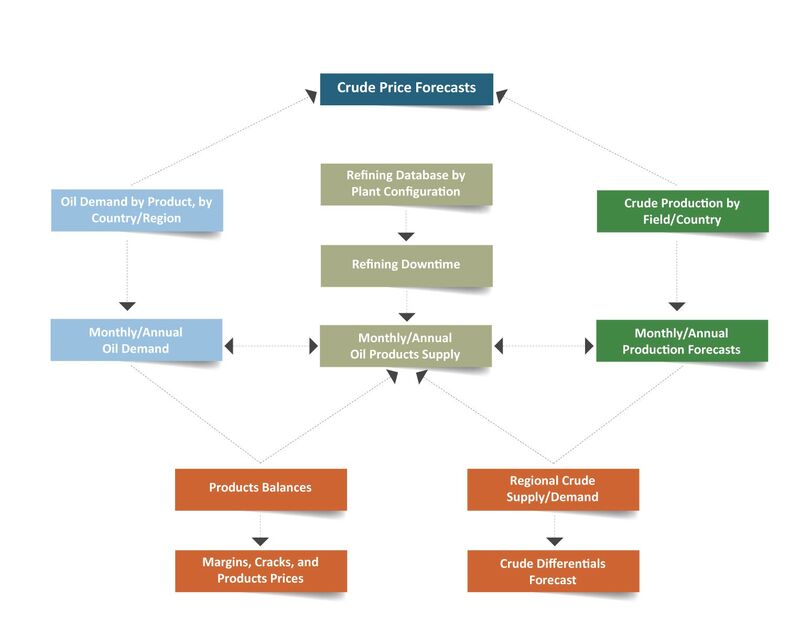 Oil Storage and Logistics Companies forecasting demand for their services. Shipping/Transportation Companies following trends in crude/products balances while formulating fuel procurement strategies. Finance and Investment Analysts following key global energy supply/demand analytics and price trends. Refining and Petrochemicals Companies deciding on crude procurement and products supply. National Oil Companies undertaking research on key global trends and making strategic decisions.